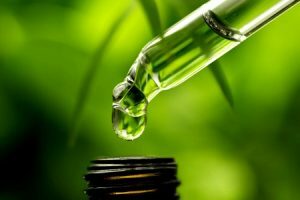 It’s about time, because CBD is a fascinating compound that has tremendous therapeutic value. Despite having a long history of use as a natural medicine (the earliest recorded uses date from the 3rd millennium BC), since the early 20th century cannabis has been subject to legal restrictions. Possession, use, and sale of cannabis preparations containing psychoactive cannabinoids are currently illegal in many parts of the world. In some places, the use of CBD remains illegal, even though the compound is not an intoxicant. Thankfully, now there’s hope – as of May 2, 2018, medical marijuana is legal in 29 states and DC, and recreational use is legal in 9 states and DC. Details surrounding possession limits vary by state. Possession of marijuana remains illegal at the federal level, unfortunately – the plant is still classified under Schedule 1. Laws regarding hemp and hemp-based CBD are much more difficult to interpret (these CBD products from Organica Naturals can be legally shipped anywhere in the US, as of the time of this writing – full disclosure: I am an affiliate and may earn commission if you buy their products). I Tried CBD Oil For My Psoriatic Arthritis. Here’s What Happened. Nutritional Anarchy is owned and operated by Lisa Egan and may contain advertisements, sponsored content, paid insertions, affiliate links or other forms of monetization. Nutritional Anarchy abides by word-of-mouth marketing standards. We believe in honesty of relationship, opinion, and identity. The compensation received may influence the advertising content, topics, or posts made in this blog. That content, advertising space, or post will be clearly identified as paid or sponsored content. Nutritional Anarchy is never directly compensated to provide opinion on products, services, websites, and various other topics. The views and opinions expressed on this website are purely those of the authors. If we claim or appear to be experts on a certain topic or product or service area, we will only endorse products or services that we believe, based on our expertise, are worthy of such endorsement. Any product claim, statistic, quote, or other representation about a product or service should be verified with the manufacturer or provider.